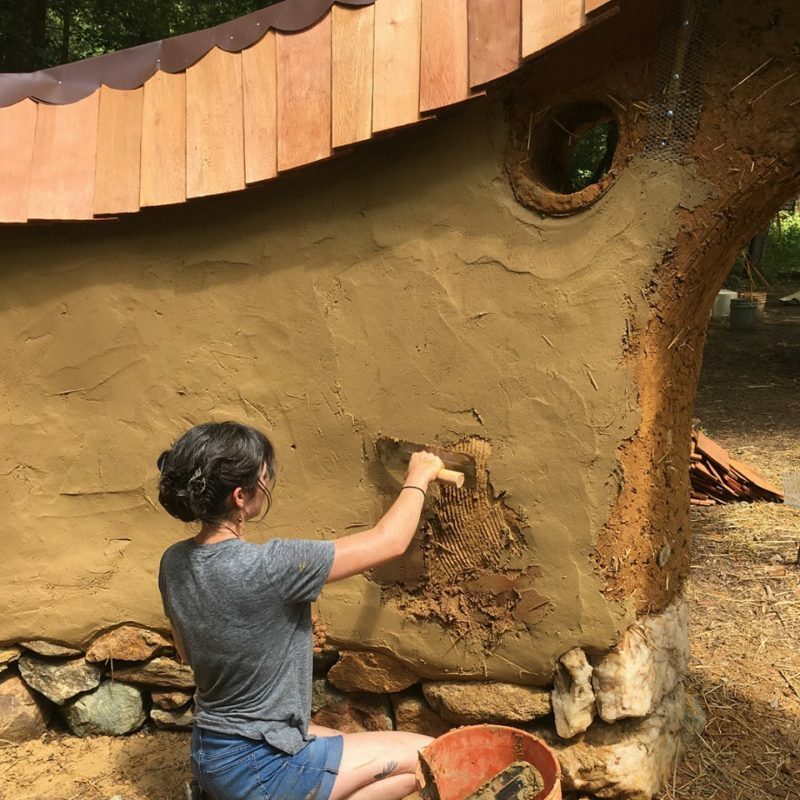 Welcome to a new exciting cob adventure sponsored by Cob Sicilia builders crew! This time we are travelling to the mystical India!! Hills, jungles, ocean, tribal people, old and new way of building with mud and stones. Infact we will be spending four weeks building a 20m2 guest house on land near ancient Araku valley, about an hour from the sea. 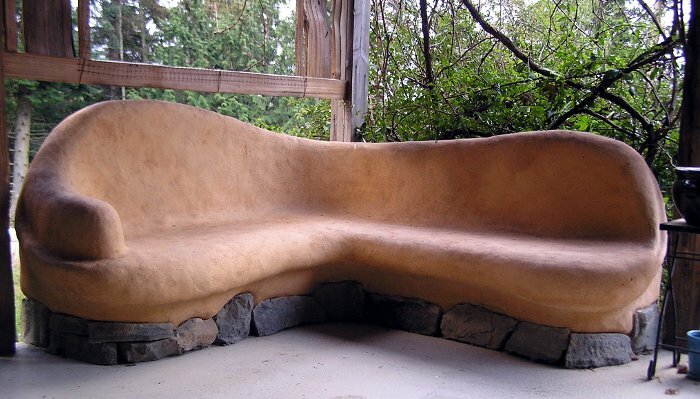 The guest house will be for our friend Kris rice farm, host of the workshop. Navara Farm, owned by Srikrish Tentu, a young natural farmer who took this land almost two years ago with the dream to follow the example of Masanobu Fukuoka sensei, the father of the natural farming. The Farm is located near the village of Andara, in the province of Vizianagaram which is the closes big city of the Andhara Pradesh. But this is just the beginning! You can find much more infos about what , where, how… here! The course will be international and will be hold in english. Many people are invited from all around the world, and we’ll be one big family of all nations! We’ll learn many tecniques, from cob walls, stone foundations, wood and bamboo roofing and carpentry. Plastering and decoration with cob, foor, lime plaster and waterproofing our cottage walls from monsoon rain!! Yeah!! Cob can survive the rainy monsoon seasons! 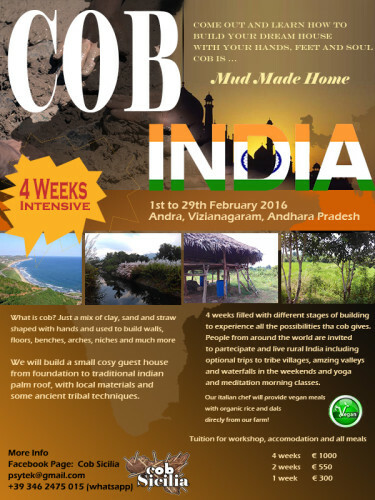 Costs will include all vegan locally sourced meals , tuition and accomodation (in different, wild rural india village style) , but they are very low compared world wide cob e natural building workshops, this because we are still growing as team and teachers but we’ll do our best to give you the theoretical and practical knowledge in order to come back home and build your own! 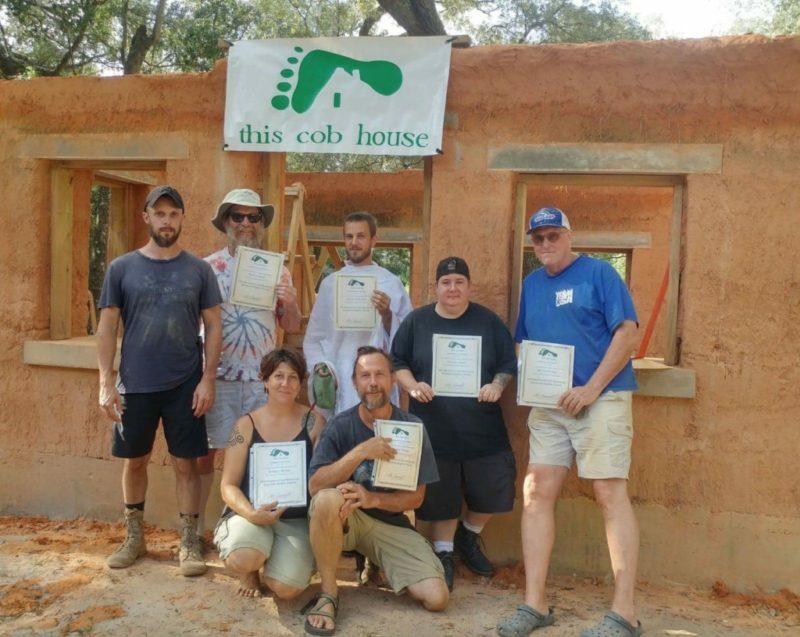 « Indiegogo Fundraiser to send 8 Senegalese students to a local 1 month COB Building Workshop!